If you have a home business and want traffic and leads, social media paid advertising is an amazing solution for you! Websites like Facebook, Twitter and LinkedIn are great places to start if you want to brand yourself as a leader and build a thriving business. The problem is, most people advertising on social media are doing it wrong and it’s costing them a fortune. As an advertiser you should know that most expert marketers do not turn a profit on the money spent on their marketing within the very first month of investing in whatever advertsing method that they choose. The profit typically correctly occurs within 30 to 45 days after your innitial investment. This is more so the case when it comes to social media marketing. 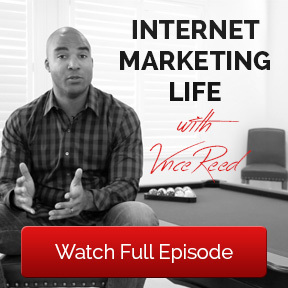 This is because social media marketing is a form of what I call billboard marketing. Your ad can show up in front of anyone at anytime. This means the propper relationships must be built from the very beginning if you want to turn a profit! I hate to be the 1st to tell you, but no one wakes up and goes on Facebook to buy your products or view your content. Especially when it shows up in persons newsfeed who has absolutely no idea who you are, has no interest in your products and has no need or interest in a business opportunity. You have to focus on building relationships with people who have a need for what you have to offer and then provide them with a solution which could be your products and services. Not everyone of your fans and followers are going to be online when you post updates. Even if they were, the odds of them seeing your ad is slim to none… remember you are not the only one running ads. This means you have to focus on building the right relationships with your Fans so your ads will show up more to them and most importantly you must be consistent. Change up your ads, use different images, and focus on communicating to 1 person verses writing ads that speak to a large group. Do this and you will have a higher quality score which means your ads will show up more to your audience. The more consistent you are the better your results will be on social media. Especially if you are building a Fanpage… be patient and understand that your pages will grow and the results you will get today will benefit you 10x more in the future! If you got value from 3 Reasons Online Marketers Lose Money On Facebook please comment below. Learn My Step-By-Step Facebook Advertising Method? Group Coaching Sessions Start Next Thursday For MITS Members Only! Over the last few weeks, you may have noticed I have talked a lot about Facebook Advertising! There are a lot of marketing secrets that you should know if you are using Facebook advertising to grow your home business. We are now up to spending anywhere from $500 to $2000 per day on Facebook. Over the last 2 months I have worked really hard to put out the most jammed packed Facebook ppc marketing course on the web! With that being said, I have had to push back the release of this course 3 times because of the major changes we keep noticing on Facebook. So I came up with a new strategy to not only release a course, but to show you live how I set up my Facebook marketing campaigns live. The new name of this course will be FB PPC LIVE and what I am going to do is start off the webinar explaining how each ad type works and then I’m going to walk you through how I set up campaigns for each type of ad type live. We will always review what I did in the prior week. I will go back and check on campaigns, modify ads and see if we can improve our conversions. Then we will move on to the next ad type and repeat this process for 4 weeks. Week 1 will be a complete overview that will walk you through how the Facebook ad platform works! How to manage your ads, use the power editor and set up ad campaigns! We will focus on promoted post in week 2. I will show you how I leverage promoted post to generate leads, comments, likes and shares! You will see me set up several promoted post campaigns and see my strategy to making this work! In week 3 I will show you how I leverage the power of like campaigns to not only get likes but to get leads and value based customers. What is a value-based customer? It’s a customer who buys from you, implements what you do, gets results and becomes a testimonial! In week 4 I will show you how to set up and manage click to website ads! This is a great way to build your list and brand! This will be the 1st ever live interactive Facebook course as MITS members will be able to ask questions and literally watch me set up campaigns live! There will be no question left to ask once I complete this course! I created a post earlier this week where I asked some of my partners if they wanted me to supersize the post and go into more detail. Well instead of doing that I figured I would just show you so you exactly how I do it! If you want to be part of this course live you must be a level 2 or 3 member inside of the MITS system. I will show you exactly what I do so there are no questions and you can crush it! What I Learned About Facebook Advertising That Most Gurus Would Never Tell You! Major Breakthroughs Happen During Moments Of Crisis! As A marketer we are constantly faced with challenges that we must overcome. If you want to be successful at anything worthwhile you will have to get over the fact that you will have to deal with challenges that would stop most people in their tracks. The thing that keeps me going to this day is the fact that every time I am challenged, I focus in and it seems like I always finds a hidden gem that most people never see that changes everything. About 3 weeks ago I got a call from Facebook asking me if I wanted to go through a 4-week training course with them. I was very excited because this was taking place during the time I was creating a new Facebook marketing course for my Internet traffic system members! This also happened right after I took on a new personal client for consulting who wanted me to do some marketing for them. Because of these two things I have been spending a lot of time with Facebook and have been running thousands of ads! In the process I started playing around with different ads and realized 2 things that will change the way I market on anything forever. Don’t Just Split Test Ads, Spit Test The Different Ad Types. For example on facebook they allow you to do a variety of different types of ads. They have promoted post, like campaigns, strait to website ads and much more. Within those ads you can choose if you want right column, newsfeed ads or sponsored stories. Different ads work differently depending on what you are doing and what your ad says! So what I do is I break my ads up into 6 parts where I will create 2 strait to website campaigns and 2 promoted post campaigns and 1 like to facebook tab campaign. On 1 ad I target peoples newsfeed and the other ad I target the right column. I do the same thing with promoted post but on one ad I use an image in the newsfeed and the other I use a video. On the like campaign I send the traffic strait to a fanpage tab! I do all of this on a small budget until using tracking pixels to see which ad converts the best! When I see which ad performs the best I scale it up and crush it. The last thing you should know is how Facebook’s algorithm works. I won’t try to explain that because I will break this down in my Facebook course we are releasing in My Internet Traffic System. But I will tell you this, always allow Facebook to maximize your clicks especially if your ads are strait forward and explain exactly what it is that you are promoting! When you do this Facebook will show your ads to more people who are interested in what you have to offer and your cost will go down! The information I just shared will help you dominate Facebook advertising! Fan Page Secrets Every Internet Marketer Should Know About. Use These Strategies To Grow Your Home Business! As a home business owner who uses a Facebook fanpgage to generate leads I often hear a big debate over the best ways to use a Facebook Fanpage! Some people say a Facebook fangage is not a good thing to use to build a home business! Other people say it’s the only thing to use when building a home business! In January of 2014, I had a little of 500 fans on my fanpage and as of March 1st I have a little under 5000 fans! My focus has never been to just get fans. My plan was to target people specifically in my niche and provide them with nothing but pure content and value. Now because of that, I have generated close to $200,000 In revenue from Facebook alone! So let’s say I got 4500 fans over the last 2 months. That would mean each fan was worth $44 dollars to me. Now to be fair I do a lot of Facebook advertising and have spent roughly $9,000 on Facebook ads over the last 2 months but that is pennies when you take into account my total revenue! I was not focussed on driving traffic to an offer, I was focused on driving people to content that offers value. I think this mistake is what causes people to think a fanpage is not good for your home business! So what I wanted to do was share with you exactly what I do with my fangage. I focus on a point system that I try to beat each and every week! It consist of people liking, sharing and commenting on my facebook content! You can have 1 million page likes or 100, but what you want to pay close attention to are the people ‘talking about your page.’ You will see that number next to your total number of fans. This number tells you how many people actually engaging in your post. This number goes up and down so do not freak out if yours is low. Just make sure you keep an eye on it so when it get’s low you do things to pick it back up! It’s pretty simple – the more user engagement generated by your posts, the more likely Facebook will feature your posts in your fans newsfeed. Facebook has it’s own algorithm which measures who’s content they should show more Edgerank. How is the “Talking About This” number calculated? I decided to research edge-rank and I found this little explanation online which could help you! Think about it this way: a “like” is worth 1 point, a “comment” is worth 5 points and a “share” is worth 10 points. The more interaction you are getting on your fanpage, the more chance you have to show up in your fans’ newsfeed. Always make sure to post ‘share-worthy’ content that will entice users to interact. Paying for promoted posts will also boost this number and get new fans and more interaction. At the end of the day if you focus on Value and if you are consistent in your marketing everyday you will build a powerful business using your fanpage! 3 Facebook PPC Secrets You Should Know To Get 4 Times More Leads! It’s What You Don’t Know That Crushes Your Business! Over the last few years, I have used Facebook to grow my business and have received amazing results! The results have been so great that I decided to create a new Facebook ppc course 100% dedicated to teaching you how to leverage Facebook’s advertising platform. In this post I will reveal to you what I have learned, why Facebook is a platform that you should use and several strategies that I have learned that even the top GURU’s miss when leveraging paid marketing methods on Facebook that you should know. 5 Reasons a Fan Page Is Better For Business Than Using A Personal Page on Facebook! Start Growing Your Fan Base Before It’s To Late! With so many people stuck in there business and struggling to find quality leads, most online marketers have turned to Facebook as there go to lead generation method for their business. The question that I get from people and that I see all the time is what should I use “My Fanpage or My Personal Page”? The answer to this question is simple, if you have a business hands down you should use a Fanpage. If you know what you are doing on your fangpage, the benefits far out way the things you can do on your personal page. With that being said it is very easy to see why people don’t feel comfortable using a fanpage. The most frustrating thing that I notice that people have with fanpages is when they get fans and do a post not as many people see it at first like your personal page. It’s important to remember that you have been using your personal page since you started using facebook and your fanpage will be new. So you have to condition your audience to view your fanpage just like you did your personal page. With that being said below are 5 reasons fanpages are better than personal pages on facebook! You can only have 5000 personal friends and if you are serious about growing your business you will have a lot more than 5000 customers. When you use a fanpage you can not only connect with that fan but you instantly gain access to all of their friends as well. You can use your fanpage almost like a blog as your post get ranked in the search engines! You want you content to continue to work for you for life and when you post of your personal page the life cycle of that post is very short. But when you post on your fanpage it can work for you forever. If you drive traffic to your personal page and you continue to post status updates with a link it will eventually move down your newsfeed and be out of site out of mind to your customers. With facebook tabs you can link to other websites, captures pages and more right on the top of your Facebook page. This way links to your websites and capture pages always stay visible to your fans. If you are an online marketer and you don’t know your numbers you are really missing out on taking advantage of trends. Although you may get interaction on your personal page there is no way of know what is actually viewing your page. You can’t track views, demographics, see when people are viewing your content, see when your customers are online and more. When you learn how to use data it is a huge advantage over your competition. Facebook advertising, is much more affordable, and very targeted when using your fanpage to advertise on Facebook. Advertising to a Fan Page is more effective than sending traffic to an outside landing page because Facebook wants to keep the traffic within their network. You can promote your Fan Page through ads, but not your personal page. When you post content on your fanpage and then you promote it, you get cheep clicks and a lot more people viewing your content! These are just a few reasons a fanpage is better for your business than your personal page. My advice is to start off using your fanpage as a place to store your content, your videos, blog post etc. If you are consistent you will have tons of fans in no time! What’s Inside Of FB PPC X For MITS Members? Will This Product Change The Game For MITS Members Looking To Get Targeted Leads? 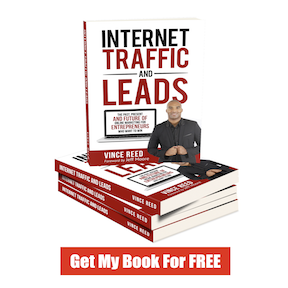 If you are looking to learn how to get targeted leads for your business there is no better place to be than My Internet Traffic System.